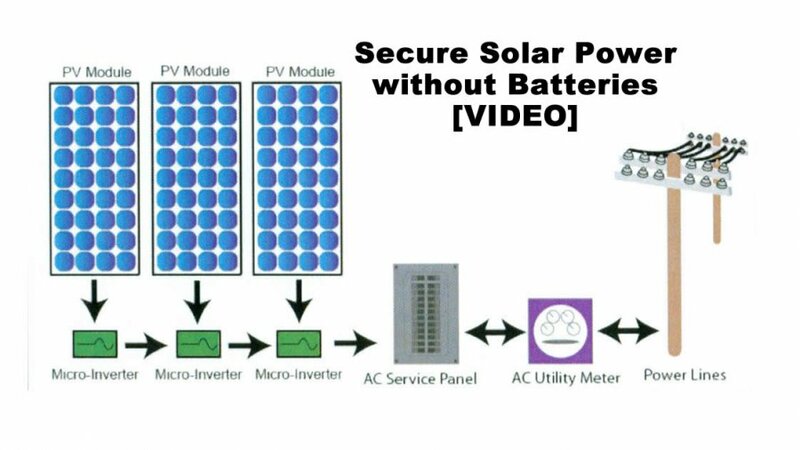 SMA’s Secure Power Supply does something that no other grid-tied solar inverter without added storage can: provide power during a grid outage. Solar professionals have been talking about this amazing feature since its inception with the Sunny Boy TL-US and our data shows consumers love it. Now with even more power in the all-new Sunny Boy-US, it’s important to make sure you truly understand how to convey the benefits of this groundbreaking feature so that you can better differentiate your SMA proposal from your non-SMA competition. To best showcase the value of Secure Power Supply (SPS) it’s important to start talking about it during the initial customer meeting. Let’s take a look at the top things to consider when explaining SPS to homeowners. 1. Make sure the homeowner understands that grid-tied inverters can’t make power during an outage This seems obvious to those of us in the industry, but average homeowners haven’t been educated on this and it’s our job as industry professionals to teach them. Once they understand why, it’s an easy transition to talk about how SPS can provide up to 2,000 watts to a dedicated outlet without costly batteries while keeping the system fully code compliant. 2. The most cost-effective security you can buy The $350 to $400 average cost for installing SPS is well worth the security and peace of mind it provides. The additional expenditure equates to only about $.05 per day over the lifetime of the system! And if your customer isn’t ready to commit to SPS right away, it’s a simple retrofit at any time after the system is commissioned. We’re fairly certain that after the homeowner’s first grid outage, you’ll be getting a call to come back for SPS. 3. SPS has a maximum of 2,000 watts and homeowners will want to know what that means SPS can provide a maximum of 2,000 watts but most homeowners only equate watts with lightbulbs. Don’t be afraid to tell a homeowner what 2,000 watts can power. Help them by relating stories of previous customers who have used it to charge cell phones after a storm or to power gaming equipment for a family competition during an outage. We’ve even heard about a neighbor who used it to keep his beer cold. 4. Nothing bad will happen if you try to use more than 2,000 watts SPS is undersized relative to most Sunny Boys’ AC output. This ensures that even during cloudy or other low irradiance conditions, SPS will operate at or near nameplate. Think of SPS like a checking account. A homeowner can write as many checks as he or she wants, in the form of various devices being plugged in. He or she will simply be limited by the amount of money in the account. Though a homeowner can overdraw from their SPS checking account, SMA has built-in automatic over-current protection that simply deactivates the feature when either 2,000 watts or 20 amps is exceeded…and there’s no overdraft fee (someone needs to relay this concept to my bank!). The system will wait 20 seconds to reconnect and ensure the energy demands are below the maximum. That wait period allows the homeowner enough time to unplug one or more devices and bring the demands down, then check the inverter’s display to verify the amount of energy being used. This process can be repeated as often as needed for the homeowner to make the best use of the available power without any risk to the integrity of the inverter or the rest of the solar system. Previous: Freeze Dried Raw Eggs Using the Harvest Right Freeze Dryer.